A gorgeous cottage in a magical location. Very well equipped, clean and with so many thoughtful touches throughout- plenty of good quality towels, lovely soap, extra blankets, lots of information on the area, well stocked kitchen with much appreciated items such as paper towel, foil, rubber gloves etc . All those little touches make a huge difference to a relaxing time away. 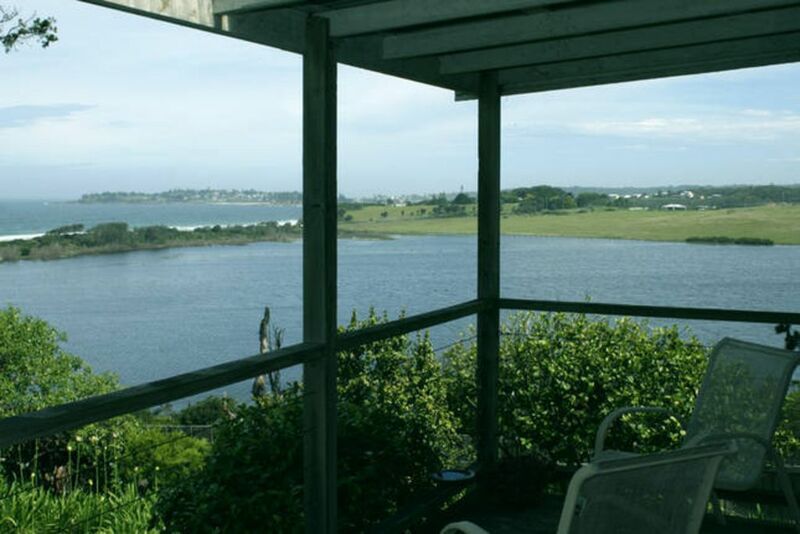 The views are stunning - Bermagui sparkles in the distance; the pelicans and swans glide onto the protected waterway at the gardens edge and the local mob of kangaroos graze on the lawn. You could sit on the deck all day and drink in the view (as well as drink the lovely bottle of wine provided by the hosts! Thank you Alan and Annie for your hospitality and warmth. We will certainly return to this delightful property. We had a lovely few days at Samten Pa. The views are expansive, the only sound is the distant waves. The house has every convenience that we needed and is furnished in a comfortable, contemporary style. We would happily return. Great location, everything works but the house is a little, “The Castle”, uncomfortable setttees for example. We can understand the cost restraints of such an operation but on the rare occasions that interesting architecture is provided it’s very satisfying. Not this time however. We are rather irritated by the fact that everywhere you now stay pesters for a review. Best to know comparatively what you are providing and then tailor your requests accordingly. Had such a lovely long weekend in a magnificent part of the country. We were looking for a quiet and comfortable place to celebrate the new year and Samten Pa delivered. The bush surrounds, the ocean views and the wildlife could lead you to believe you are miles away from anywhere but you are just a few minutes away from Bermagui and a pleasant drive to Bega and Tathra. A gorgeous haven. We absolutely loved our stay here. A stunning location, coupled with wonderful hospitality made this a truly relaxing holiday. Thank you Alan and Annie for sharing this beautiful place with us. Thanks for the glowing review. Glad you enjoyed yourselves.